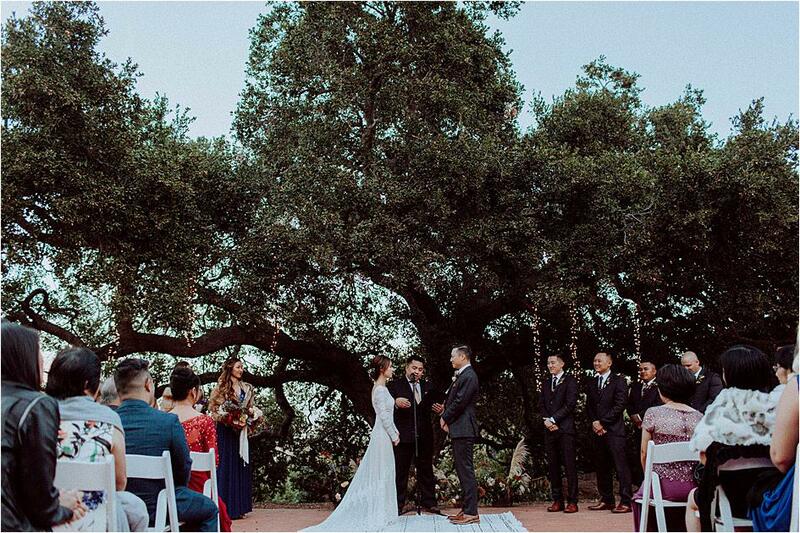 We are in love with Torna and Garrett's wedding. 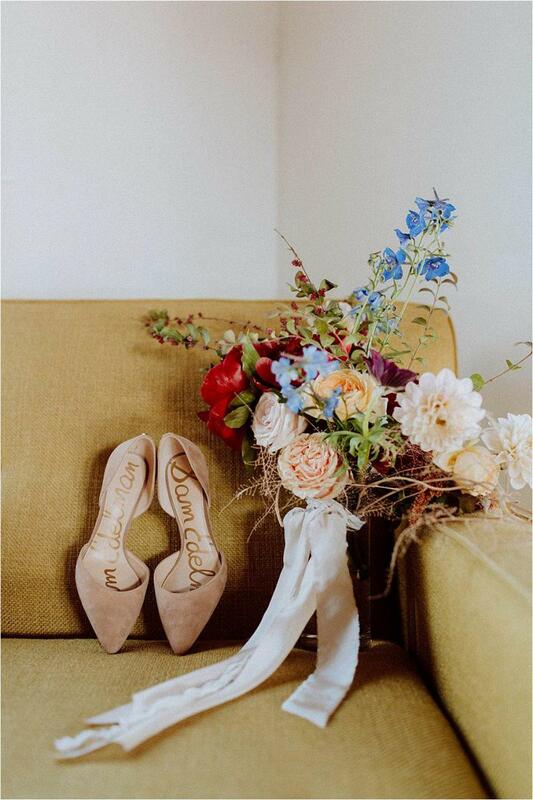 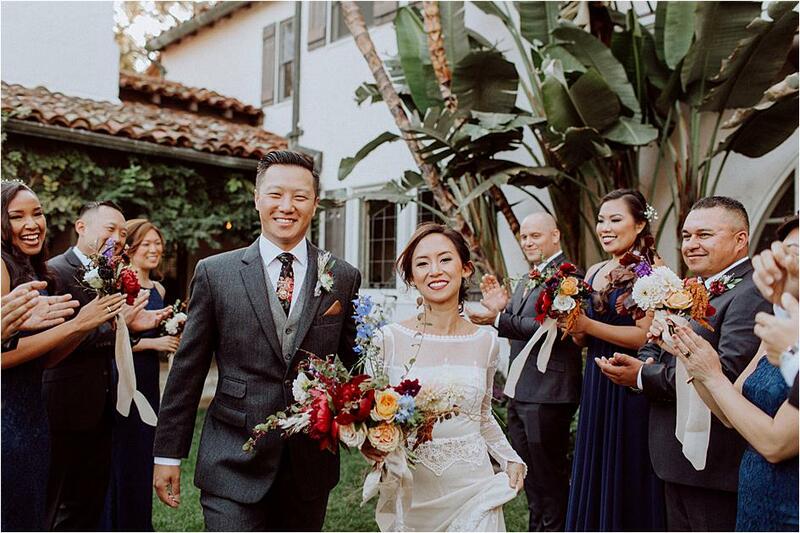 This gorgeous wedding day at Quail Ranch in Simi Valley showcased the most incredible hues of blue and peach paired with warm decor elements and texturized florals to create a truly unique design by Wheat & Honey Weddings and Events. 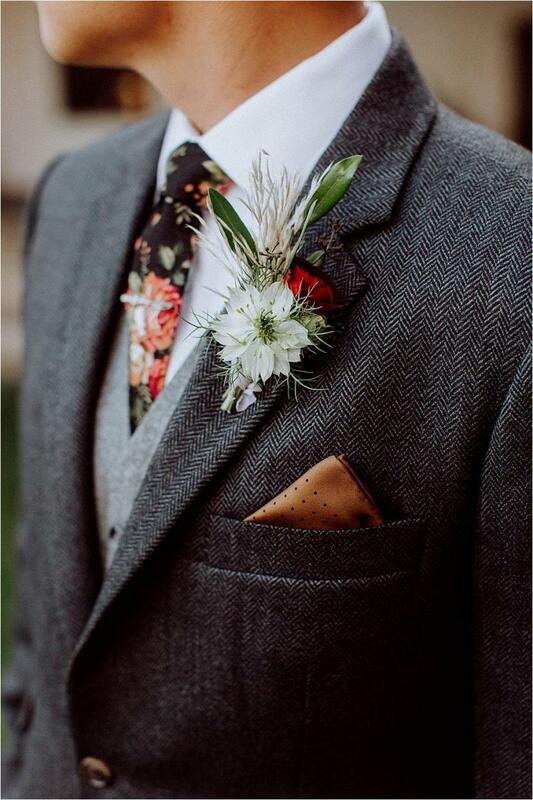 Torna sent Garrett a candygram in sixth grade on Valentine's Day, which he totally ignored. 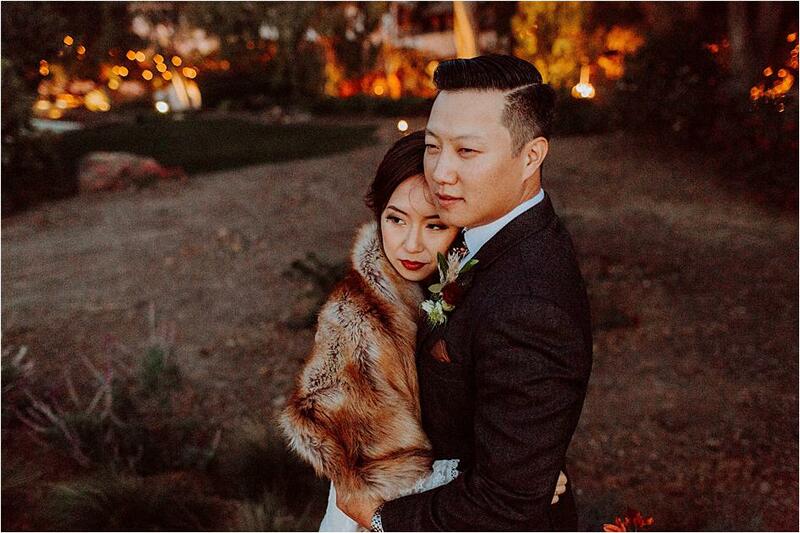 The two crossed paths yet again years later on the Santa Monica Pier and eventually tied the knot in November of 2017 in SoCal. 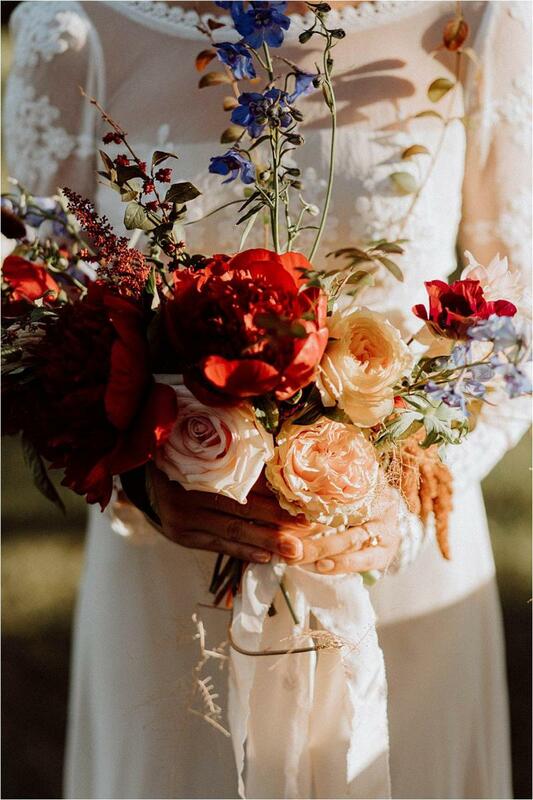 Torna stunned in a beautiful lace gown by Dreamers & Lovers paired with pretty blush shoes and a breathtaking bouquet full of vibrant blooms by Pavan Floral. 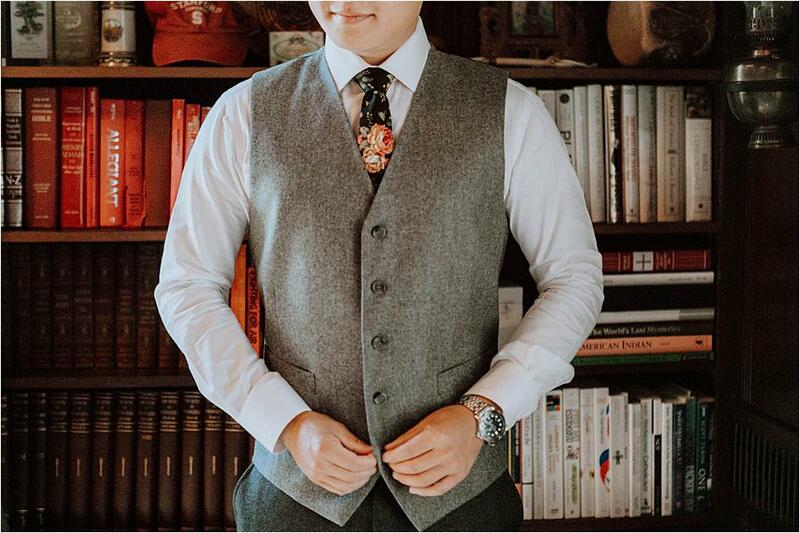 Garrett opted for a gray ensemble from No. 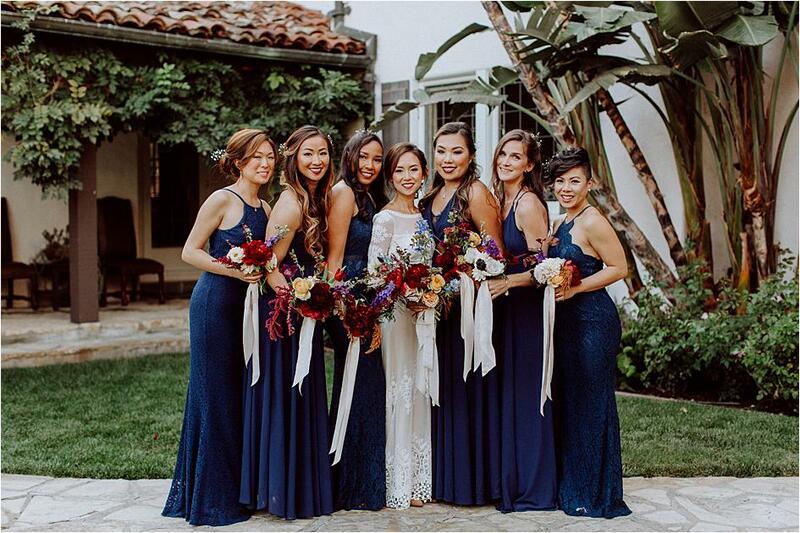 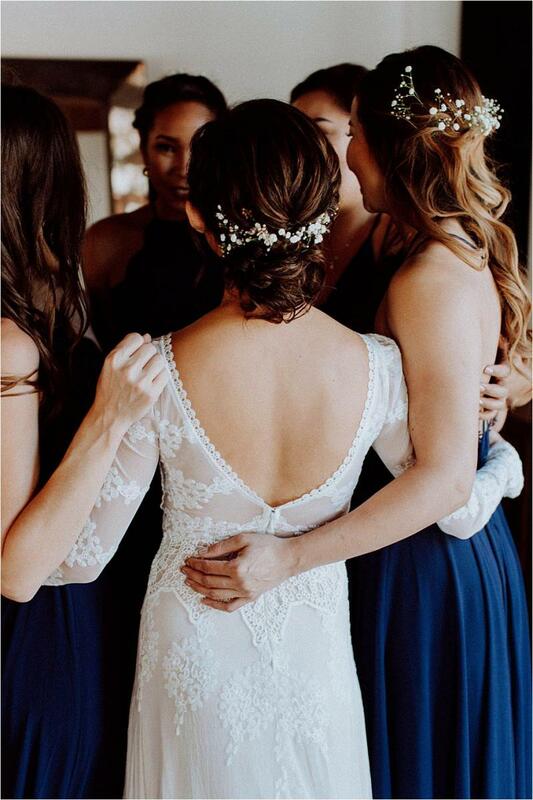 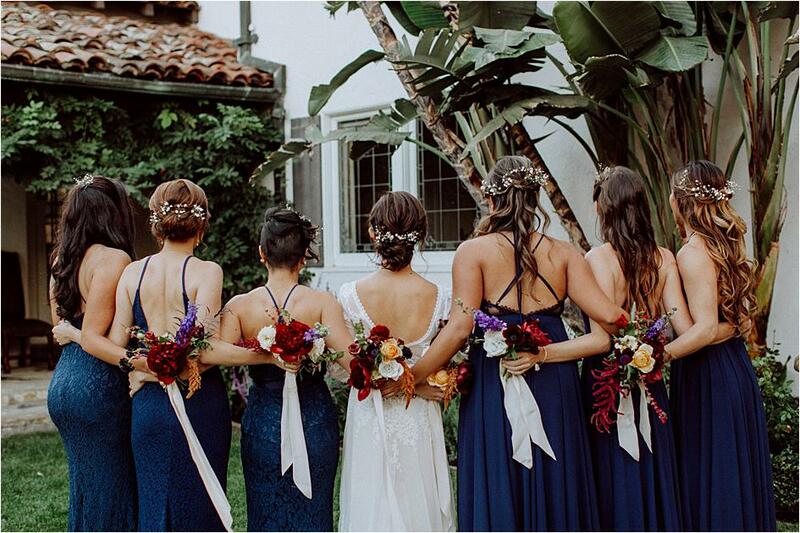 33 paired with a floral tie, while Torna's bridesmaids looked elegant as ever in deep blue-hued gowns, beautifully matching the bride's bouquet. 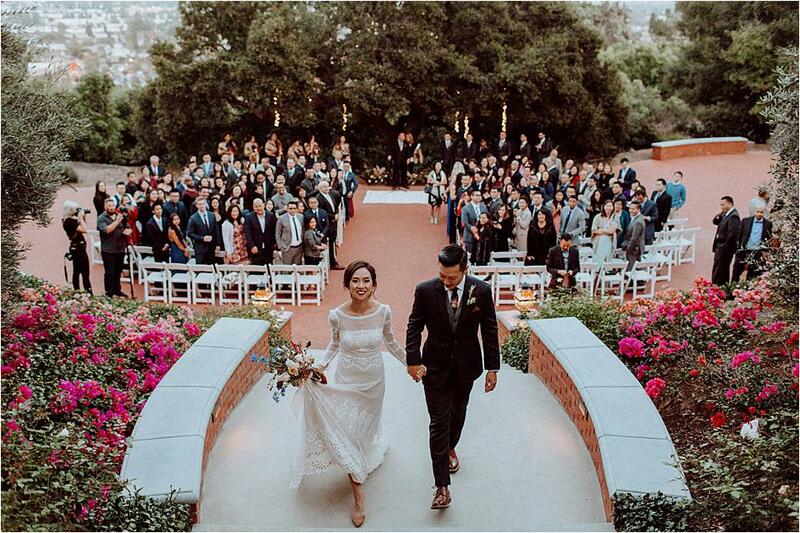 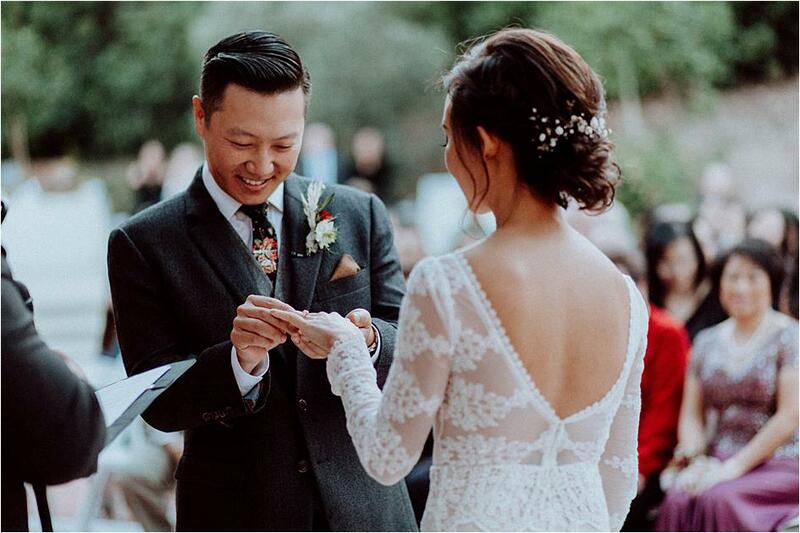 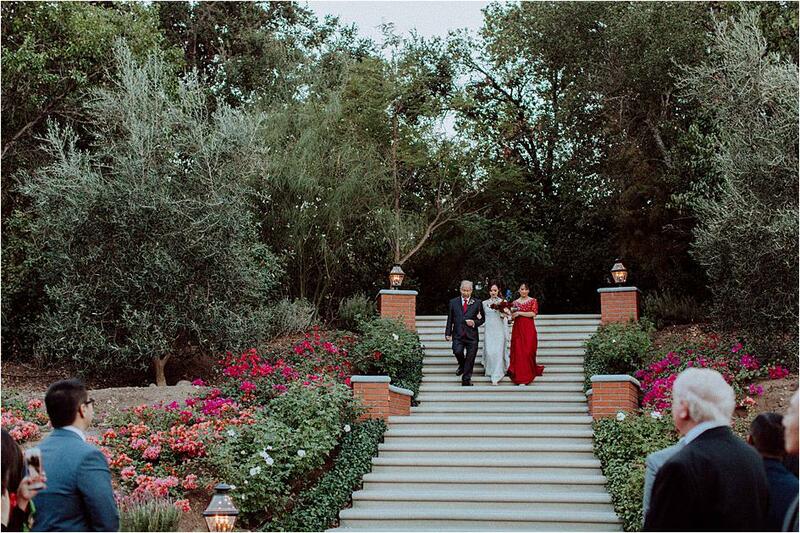 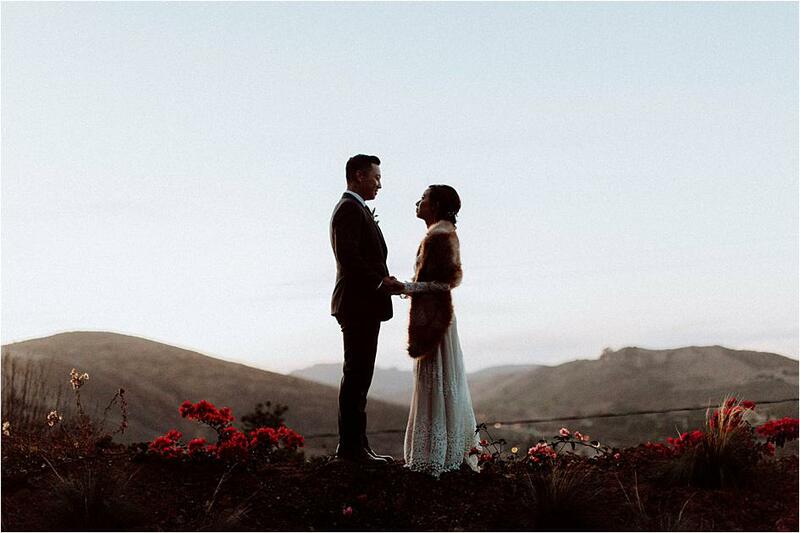 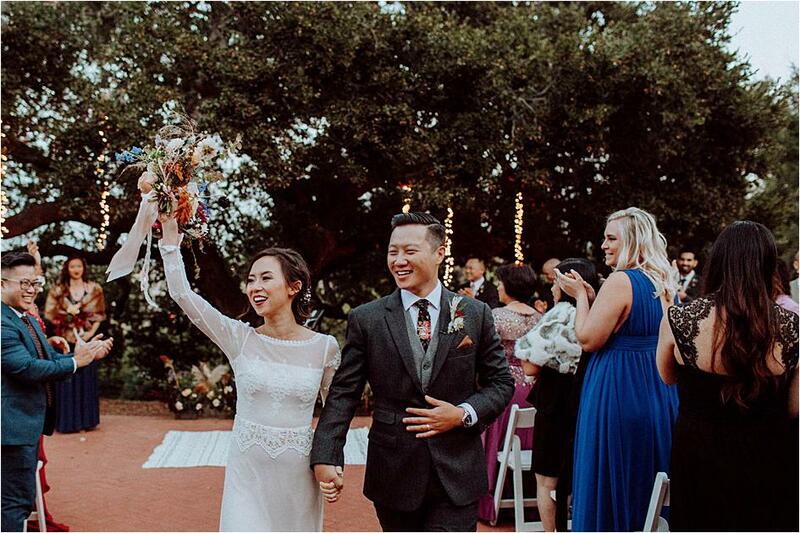 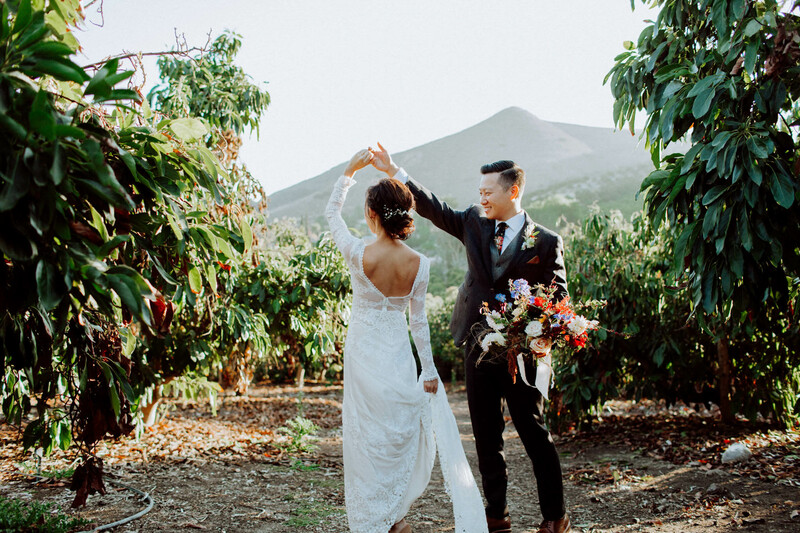 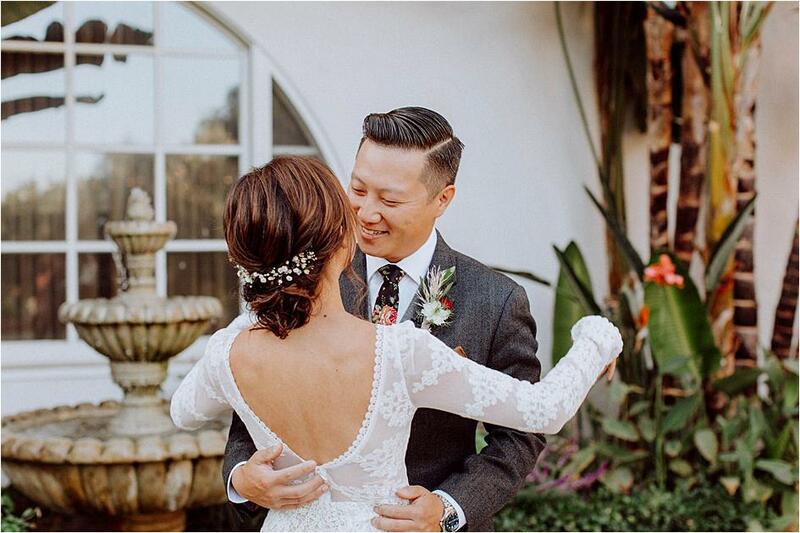 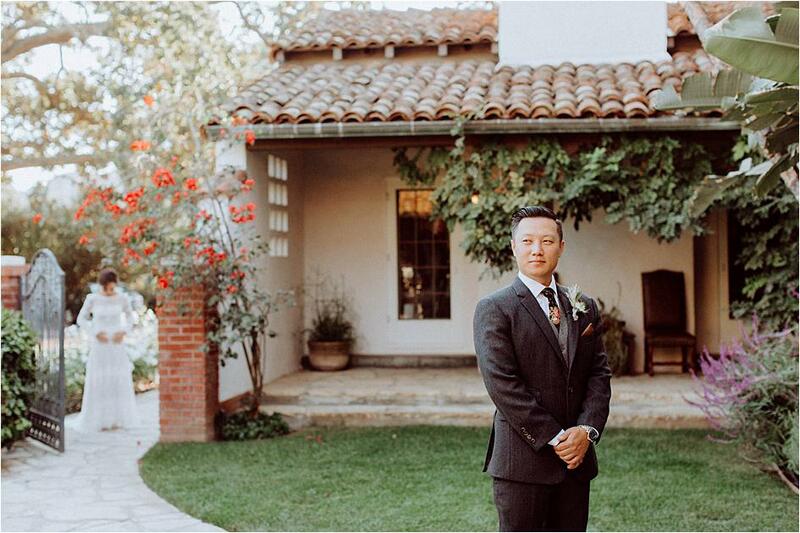 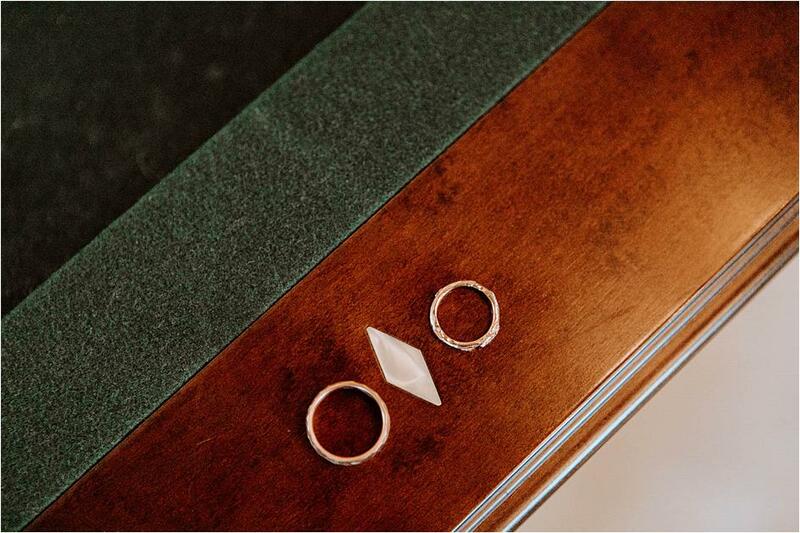 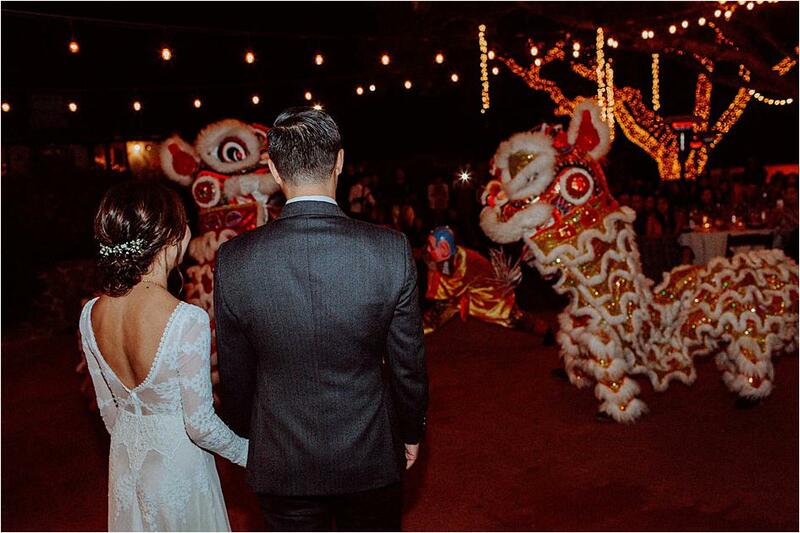 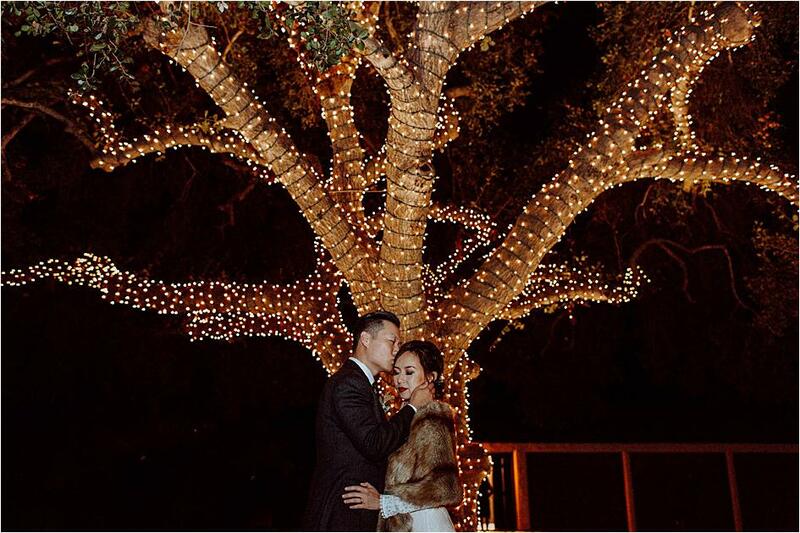 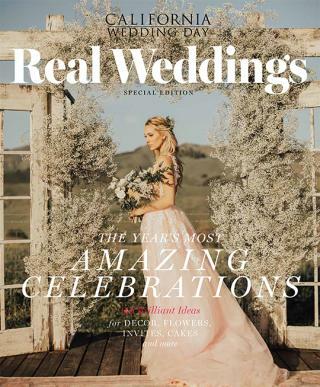 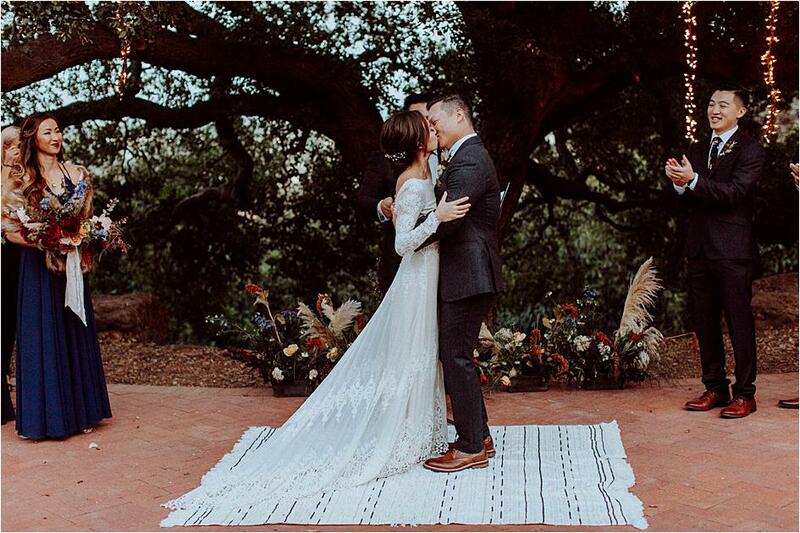 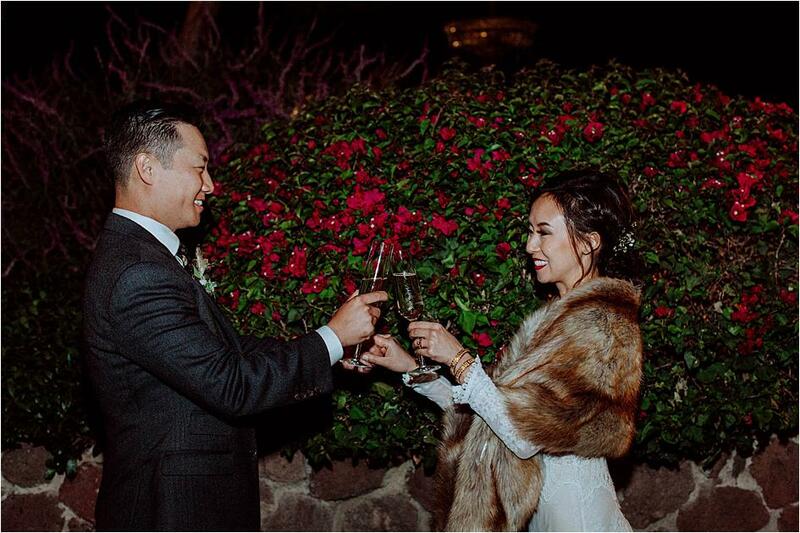 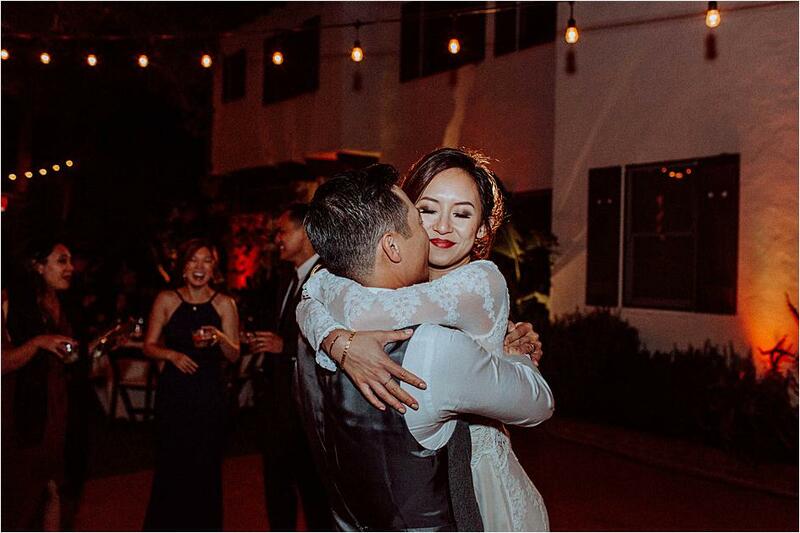 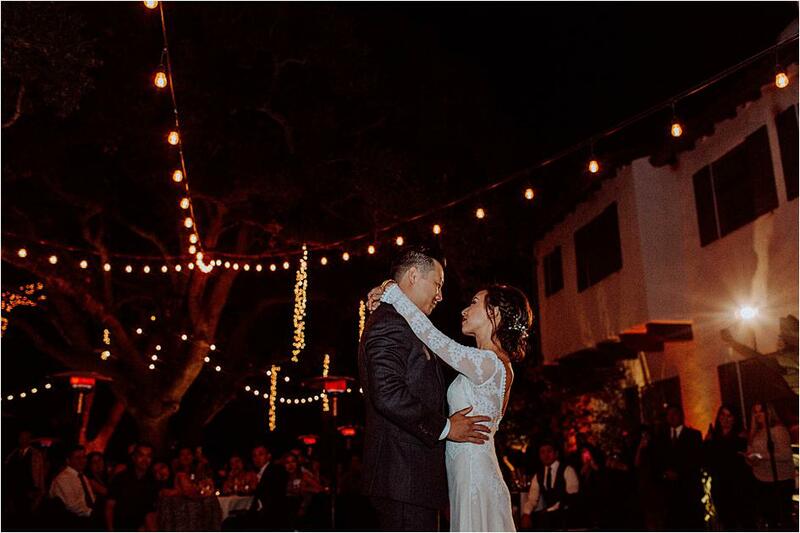 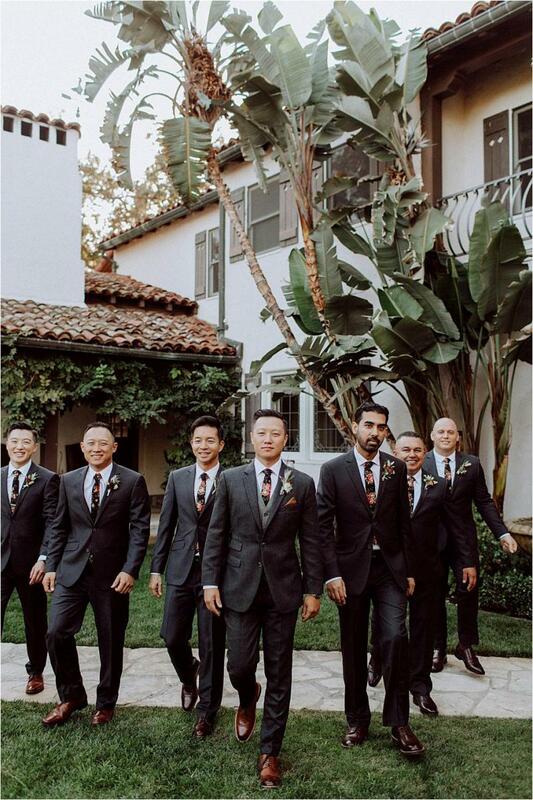 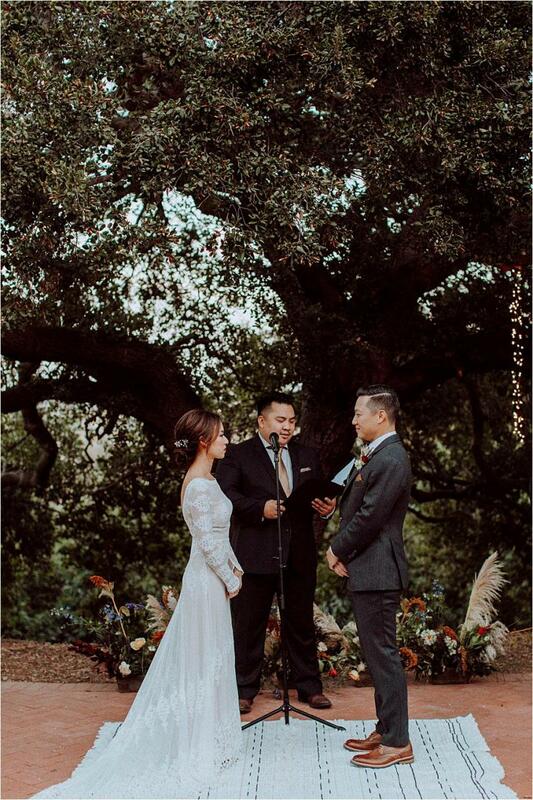 The couple recited their vows during a lovely ceremony with understated decor, including pampas grass and shimmering lights, letting the beauty of the venue take the lead. 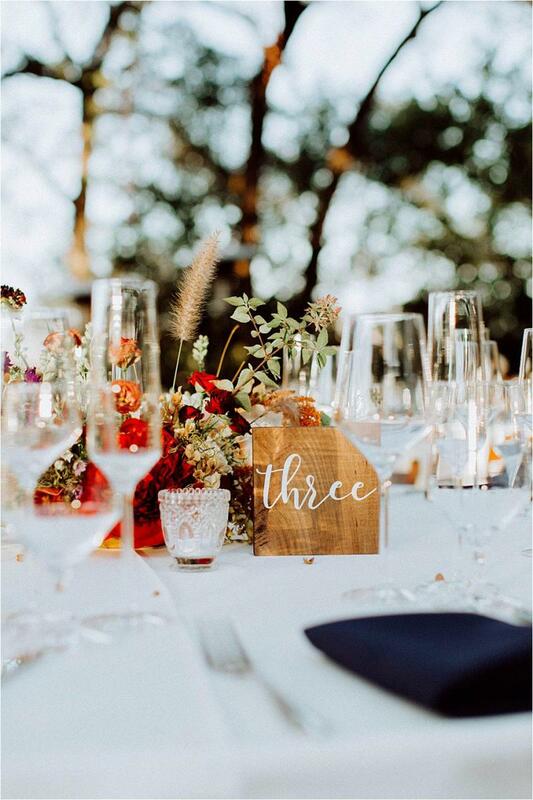 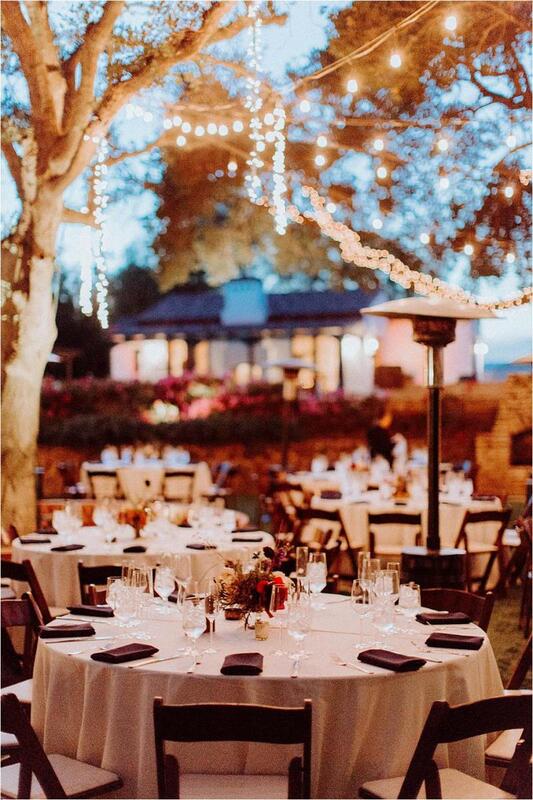 Torna and Garrett invited their guests to a stunning reception out on the lawn, where round tables boasted gorgeous auburn-hued decor and elegant glassware. 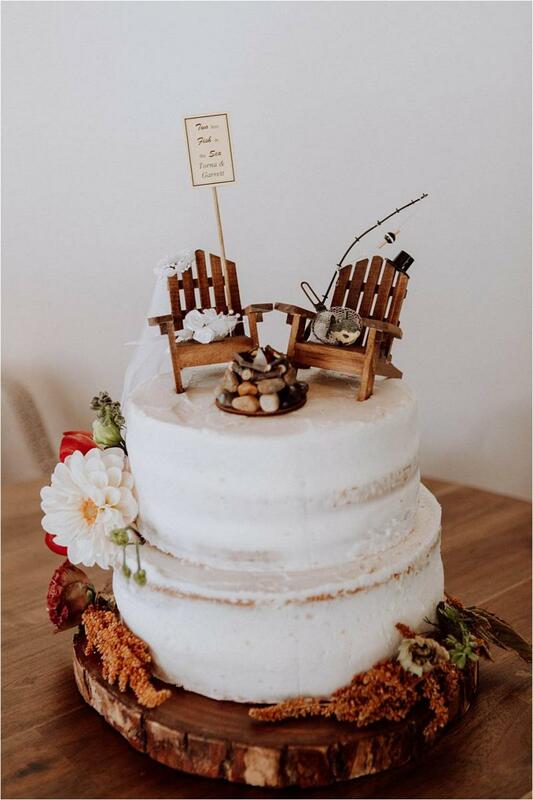 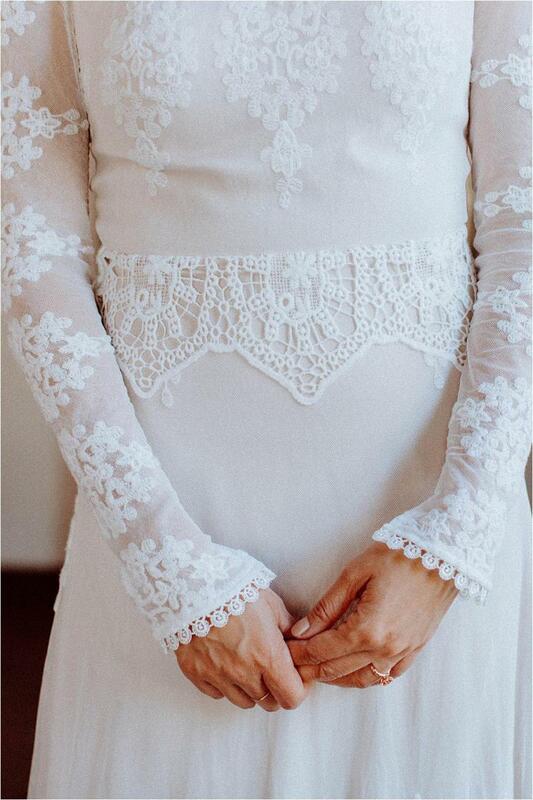 The bride's favorite part? 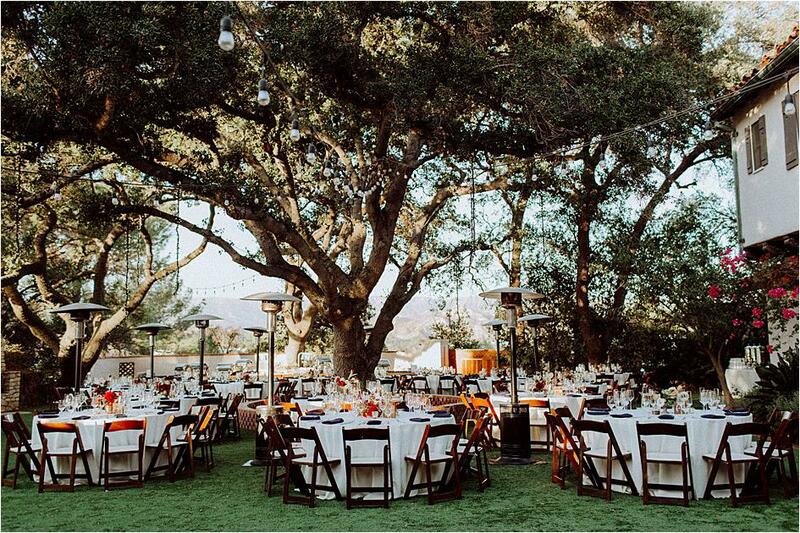 "Touches of faux fur, warm and cool tones, light-wrapped trees and pie a la mode." 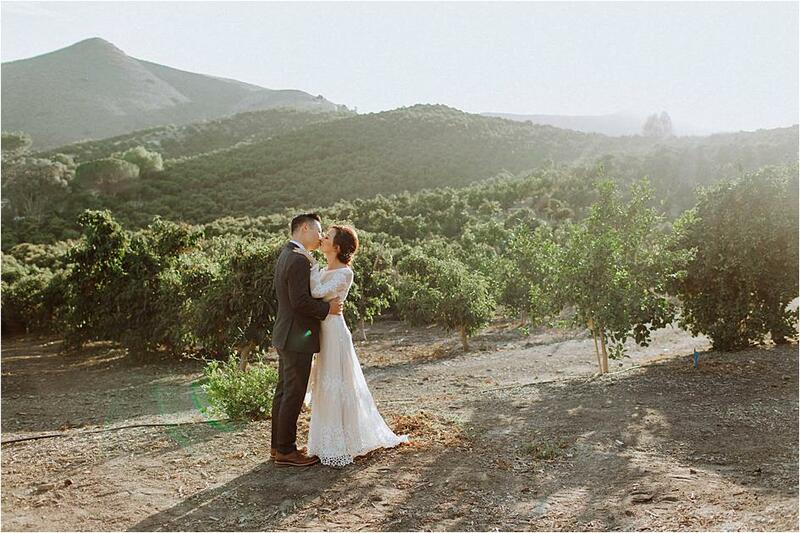 Torna + Garrett // Simi Valley Wedding from Kroshus Films on Vimeo.